These are 8" pattern cement tiles using colors from the South Beach Palette. 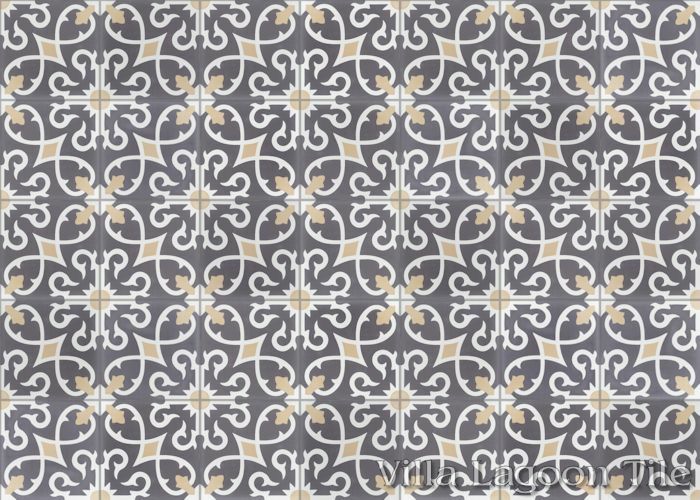 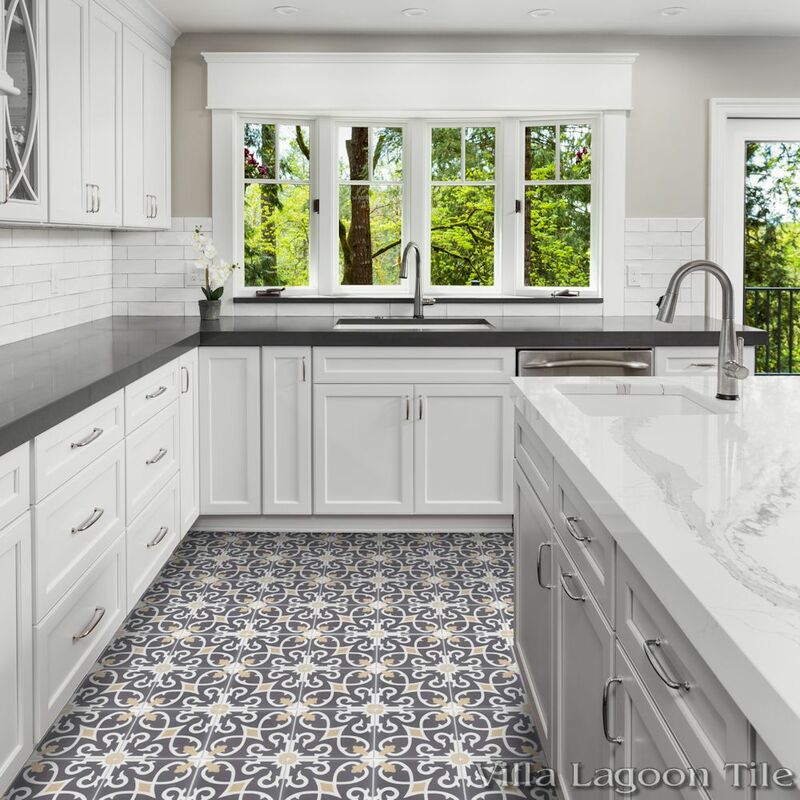 The traditional cement tile pattern we call "Charlotte" has been such a favorite for years, we developed an in-stock colorway. 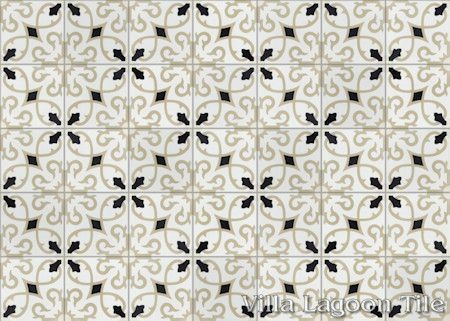 This well-balanced pattern features barbed vines radiating from a central Sun, and twisting around corner accents. 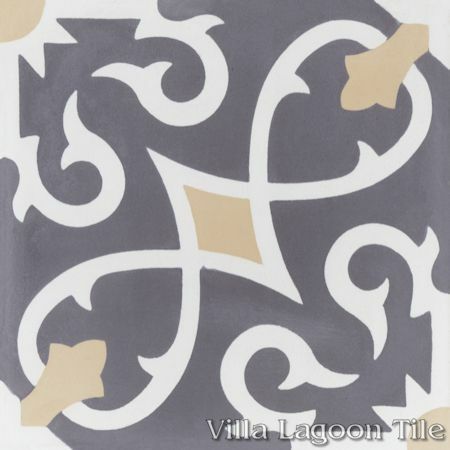 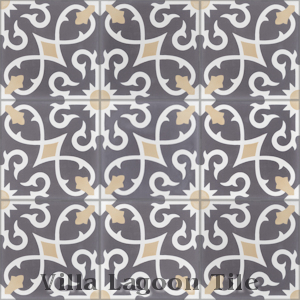 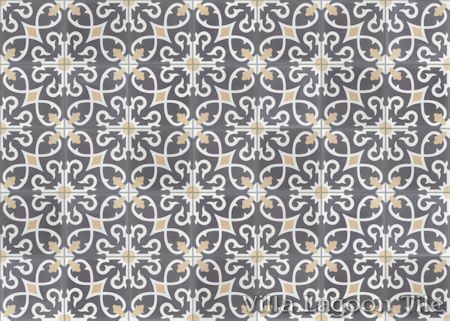 Villa Lagoon Tile's "Charlotte" cement tile pattern using Excalibur, Fog, and Camel from the South Beach Palette. 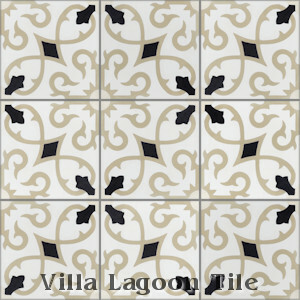 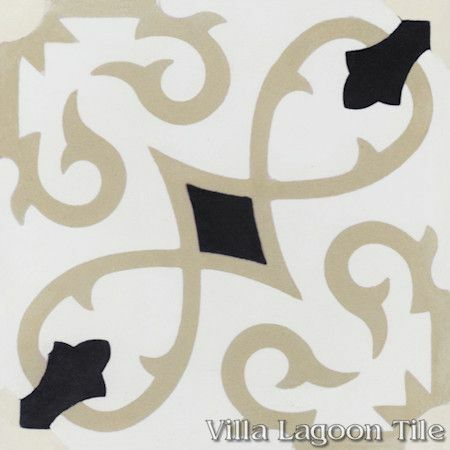 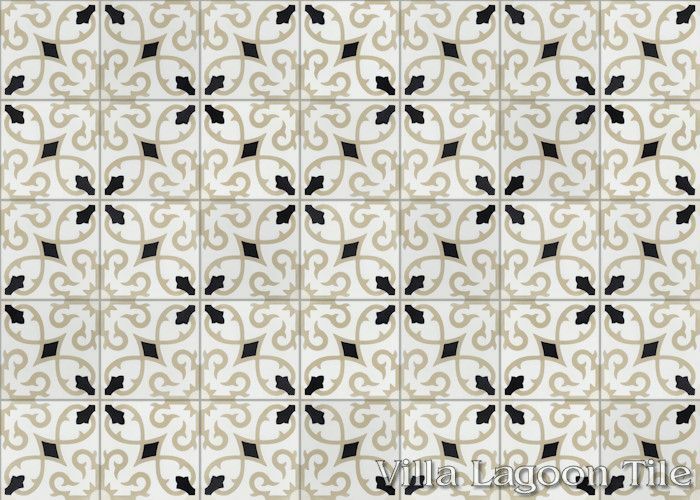 Villa Lagoon Tile's "Charlotte" cement tile pattern using White, Whipped Cream, Buff, and Black from the South Beach Palette.